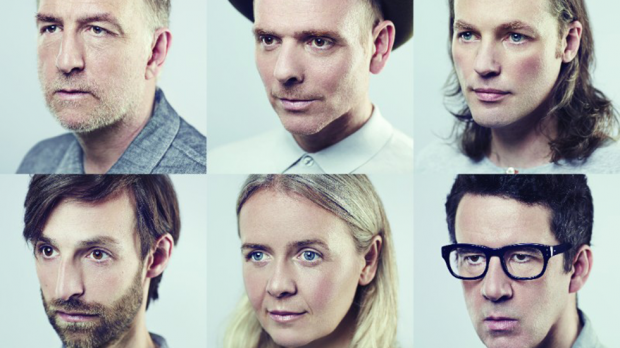 Glasgow sweethearts Belle and Sebastian are back doing what they do best. I’ll Be Your Pilot is the second single from a three-EP collection entitled How To Solve Our Human Problems, set for release from December 8 through February 15. The four minute ballad begins with a distinct, rounded oboe part; a sound so inherently B&S in its melody (fans will know exactly what I mean). The song’s breezy acoustics provide the perfect cushioning for vocalist Stuart Murdoch’s lyrics, written in the aftermath of his first son’s birth. With loving assertions like “I won’t leave you to suffer/ I won’t let them prevail,” Murdoch appears to be fully submerged in his fatherly role. Compared to songs such as 2006’s Funny Little Frog, which centres around a somewhat creepy fantasy of a dream girl, I’ll Be Your Pilot is surrounded by a feeling of maturity, contentment and responsibility. On the downside, it might be easy to get bored of this one if you were expecting a new sound. Its familiarity may be comforting for some and grating for others. For me, the song’s blatant tenderness was beautiful to sit down to after a hard day of work, and I have a feeling my mind won’t be changing any time soon.